Contrary to popular belief, there are major differences between passenger car motor oil (PCMO) and heavy-duty diesel oil. The main distinction is in the additive packages. PCMO has lower detergent and anti-wear (AW) additive levels. The AW additive alone can play havoc with components like catalytic converters. This is why you do not want to mix up these engine oils or use one in place of the other. A catalytic converter is the large metal box bolted to the underside of your car. It has two pipes coming out of it, with one for the “input” and the other for the “output.” The converter’s input pipe is connected to the engine and brings in hot, polluted fumes from the engine’s cylinder head. The output pipe is attached to the tailpipe. As gases from the engine fumes move over the catalyst, chemical reactions occur, breaking apart (cracking) the pollutant gases and converting them into other gases that are safe enough to blow harmlessly into the air. Typically, there are two catalysts in a catalytic converter. One tackles nitrogen-​oxide pollution using a chemical reaction called reduction (removing oxygen). This breaks up nitrogen oxides into nitrogen and oxygen gases, which are essentially harmless because they already exist naturally in the air. The other catalyst works by an opposite chemical process called oxidation (adding oxygen) and turns carbon monoxide into carbon dioxide. Another oxidation reaction converts unburned hydrocarbons in the exhaust into carbon dioxide and water. In effect, three different chemical reactions are occurring at the same time. After the catalyst has done its job, what emerges from the exhaust is mostly nitrogen, oxygen, carbon dioxide and water (in the form of steam). Some of the byproducts of combustion, including lead, zinc, phosphorus and sulfur, can severely cripple the converter’s ability to perform its job. Therein lies the first major difference between PCMO and heavy-duty diesel oil. Diesel engine oils have a higher anti-wear load in the form of zinc dialkyldithiophosphate (ZDDP). Catalytic converters in diesel systems are designed to handle this additive, but gasoline systems are not. This is one of the main reasons you don’t want to use diesel engine oil in your gasoline engine. Viscosity is the single most important property of a lubricant. For engine oils, the selected viscosity must allow the oil to be pumpable at the lowest startup temperature the vehicle will experience while still protecting components at in-service temperatures. 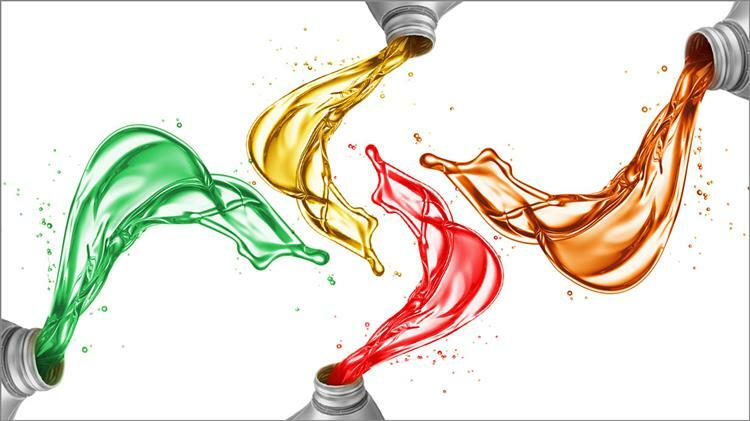 Generally, diesel engine oil has a higher viscosity. If you were to put this higher viscosity oil in a gasoline engine, several problems might arise. The first issue would be heat generation from internal fluid friction. Heat affects the life of the oil in a negative way. For every 10 degrees C the temperature of the oil is raised, you cut the life of the oil in half. 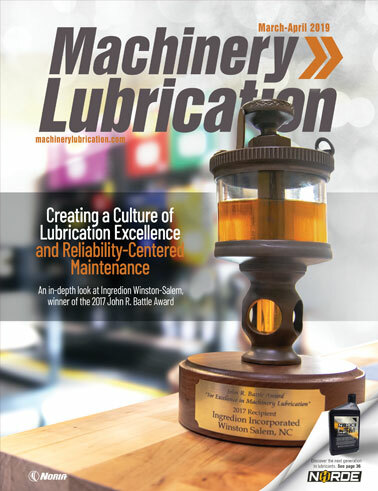 Another problem with this higher viscosity oil is its low-temperature pumpability. During cold starts, the oil may be very thick and difficult for the oil pump to deliver to vital engine components like the lifter valley. This lack of oil at startup will lead to premature wear, as the components will interact without the benefit of lubrication until the engine temperature starts to increase. Diesel engine oil has more additives per volume. The most prevalent are overbase detergent additives. These additives have several functions, but the primary ones are to neutralize acids and clean the oil in the sump. Diesel engines create a great deal more soot and combustion byproducts. Through blow-by, these find their way into the crankcase, forcing the oil to cope with them. When this extra additive load is put into a gasoline engine, the effects can be devastating to performance. The detergent will work as designed and will try to clean the cylinder walls. This can have an adverse effect on the seal between the rings and liner, resulting in lost compression and efficiency. So how do you know if an oil has been formulated for a gasoline or diesel engine, or even the particular year the vehicle was made? 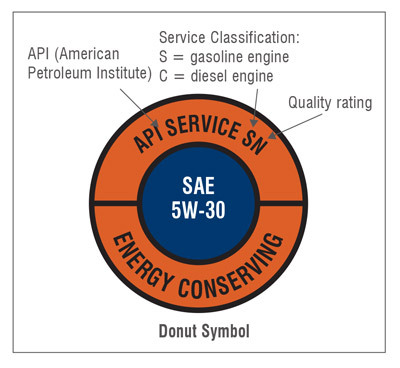 When reading the oil’s label, look for the American Petroleum Institute (API) donut. In the top section of this donut will be the service designation. This designation will start with either an “S” (service or spark ignition) for gasoline engines or a “C” (commercial or compression ignition) for diesel engines. See the example above. Other organizations have their own codes for the types of oils used in gasoline and diesel engines. They also align with the API’s standards. 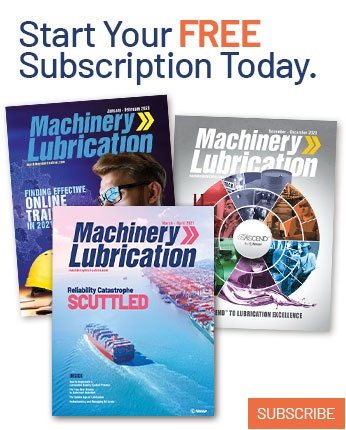 These include the International Lubricant Standardization and Approval Committee (ILSAC) and the Association of European Automotive Manufacturers (ACEA). API and ILSAC are based in the United States, while ACEA is in Europe. These organizations help to specify automotive and diesel engine oils throughout the world. There are many things to consider when choosing an engine oil for your car, including the weather conditions in which the vehicle will be operating. For instance, in the middle of winter, you want to select an oil that will stay sufficiently viscus to ensure it flows to the engine’s vital components. The oil’s viscosity is another critical factor for ensuring the engine’s moving parts are sufficiently separated to minimize wear. The oil’s additive package is also important. Too high anti-wear additive levels can cause your catalytic converters to clog prematurely, while excessive detergent additives can lead to piston blow-by, loss of compression and premature oil degradation. If you have doubts as to the type of oil you should be using in your vehicle, be sure to follow the manufacturer’s recommendations. 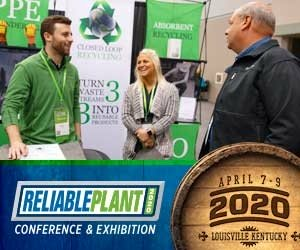 The American Petroleum Institute (API) is introducing two new standards to take into account the latest technology in diesel engines. 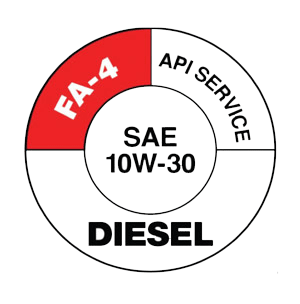 API CK-4 and FA-4 will first appear in the API service symbol donut on Dec. 1, 2016. These new service categories improve upon existing standards by providing enhanced protection against oil oxidation, engine wear, particulate filter blocking, piston deposits, and degradation of low- and high-temperature properties. API CK-4 describes oils for use in high-speed, four-stroke-cycle diesel engines designed to meet 2017 model-year on-highway and Tier-4 non-road exhaust-emission standards as well as for previous model-year diesel engines. These oils are formulated for use in all applications with diesel fuels ranging in sulfur content up to 500 parts per million (ppm). However, the use of these oils with greater than 15 ppm sulfur fuel may impact exhaust aftertreatment system durability and/or oil drain intervals. CK-4 oils exceed the performance criteria of API CJ-4, CI-4 with CI-4 Plus, CI-4, and CH-4, and can effectively lubricate engines calling for those API service categories. When using CK-4 oil with higher than 15 ppm sulfur fuel, consult the engine manufacturer for service interval recommendations. Most truck manufacturers recommending API-licensed CJ-4 engine oils will likely recommend truck owners start using licensed API CK-4 oils as soon as they are available. The API FA-4 standard designates certain lower viscosity oils specifically formulated for use in select high-speed, four-stroke-cycle diesel engines designed to meet 2017 model-year on-highway greenhouse gas (GHG) emission standards. Some engine manufacturers might recommend FA-4 oils for their previous model-year vehicles, but it is more likely that manufacturers will recommend the oils starting with the 2017 model-year engines. These oils are neither interchangeable nor backward compatible with API CK-4, CJ-4, CI-4 with CI-4 Plus, CI-4 or CH-4 oils. Therefore, you should heed the engine manufacturer’s advice for API FA-4 oils.